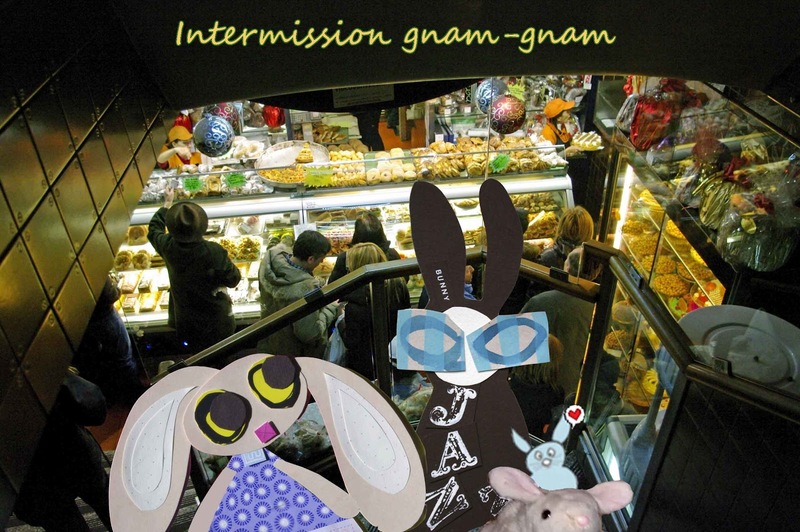 Before their appeal, the Wabbit and Lapinette met in their favourite food store, together with special diplomatic invitees Rettet Kaninchen from Germany and Pink Bunny from the United States. "Did you order everything for the Intermission," asked Lapinette. "I did," said the Wabbit. "Carrot cake?" said Lapinette. "Check!" said the Wabbit. "Celery Glacé?" asked Lapinette. "Checkedy check!" said the Wabbit. "Everything in place?" said Lapinette. "Totally," said the Wabbit. "And you remember who are we appealing for?" said Lapinette. "Of course," said the Wabbit. "It's Pledge a Pound and PACT both in the UK." "And what do readers have to do?" coached Lapinette. "They have to click on the Internet clicky links," said the Wabbit. "Your so technical," said Lapinette. "I just can't help it," said the Wabbit. "What next?" asked Lapinette. "Readers have to dig plastic cards from their fur and do things with numbers," said the Wabbit. "Then what?" said Lapinette. "They have to think of a donation amount," said the Wabbit, "and double it." "Well, they can give what they like," admonished Lapinette, "because mony a mickle maks a muckle! 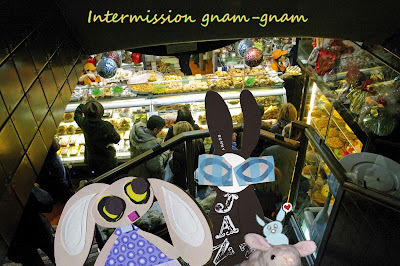 "* "You speak my old language," said the Wabbit in astonishment. "I can't help it either," said Lapinette, "you talk it in your sleep!" "Das ist gut," said Rettet Kaninchen. "Excellent!" said Pink Bunny.